We hope that you all have had a wonderful start to the Bengali year of 1423 so far! Our friends at BASC will be holding a "Baisakhi" event on May 7th and we are happy to pass on the details. Please see the flyer below. P.S. 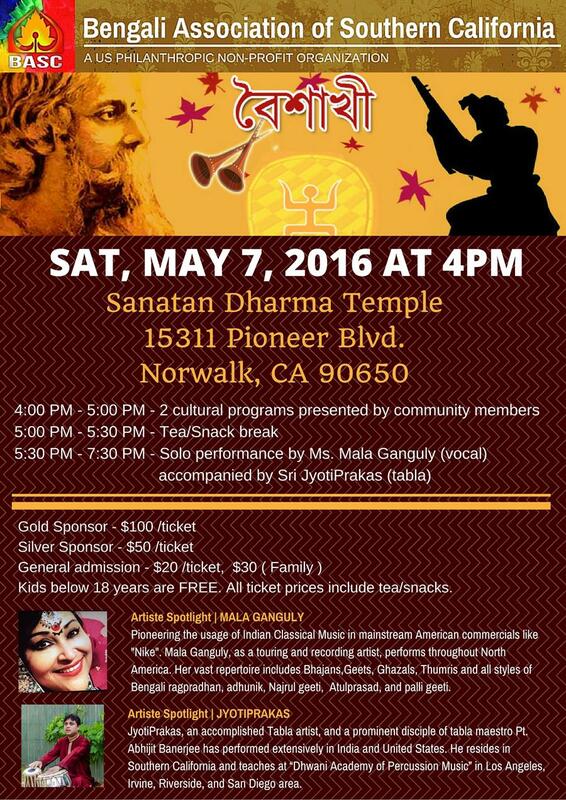 Our next 2 upcoming events are the Sunday Funday picnic (6/5) and Shravan Sandhya (8/14). Stay tuned for details!